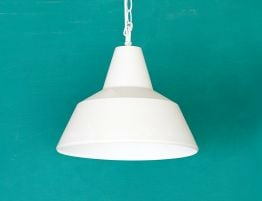 This vintage inspired retro metal pendant lamp offers an on-trend look for your modern spaces. Adding just a few touches of retro vintage accessories can add just the right amount of personalized style to your modern spaces. 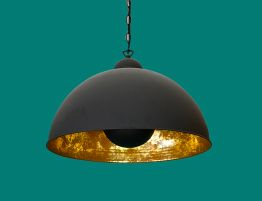 The Industrial Classic Pendant light in black offers a subtle vintage inspired industrial light design for your space. Industrial fixtures offer a look that perfectly balances old and new owing to their sleek, minimalist styling and their sheer utility. 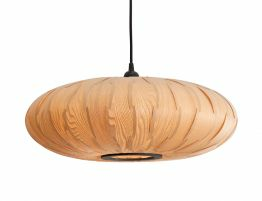 Put the Industrial classic pendant, here in back, over your dining table or wherever you need bold, chic illumination. Modern lighting adds a designer touch to your interiors that basic lighting just cannot achieve. 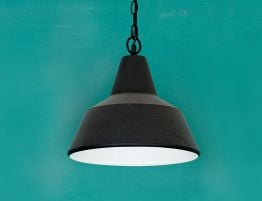 Often, replacing just a few of your standard lighting fixtures with modern, industrial lighting can completely change the look of a room. 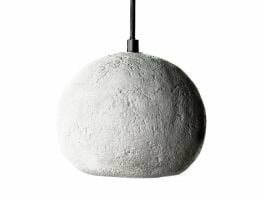 Update your design or bring your new space together with industrial pendant lighting or modern lighting fixtures that make your space feel like home.